We have embarked on another adventure – this time to the great plains out west starting and ending in Winnipeg. Our first day we visited Assiniboine Park and enjoyed seeing some lovely English gardens and walking through a sculpture garden. The sculptures in stone or bronze were by the very talented Leo Mull. Many were of animals and some of people. 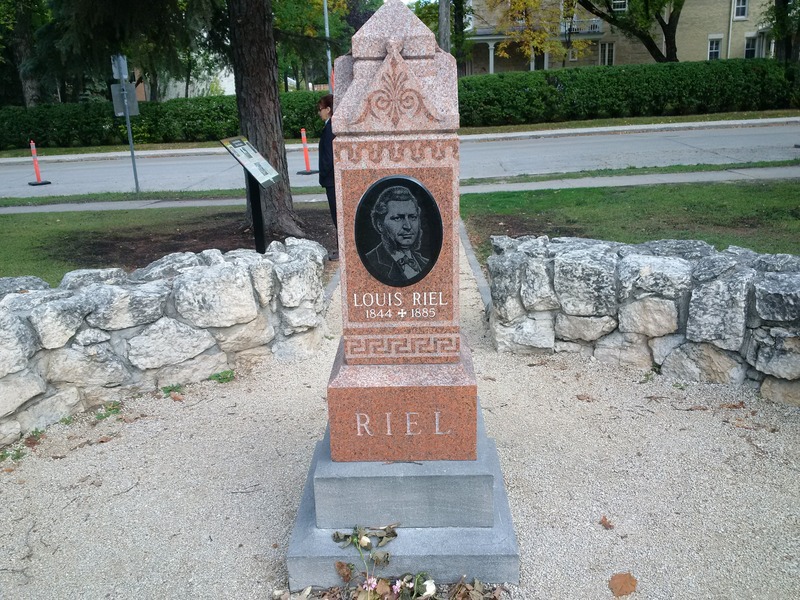 He was German I believe who settled in Winnipeg to escape Nazi persecution. I have lots of photos but on another camera. We finally saw Kyle and Ashley when they got home from work. Everything is well with them and baby Morgan is due soon. On Day 2, I picked about 50 lbs of apples from their backyard tree – McIntosh bumper crop – yum!! It was Kyle’s birthday so we celebrated at a Japanese steak house. Food and service were superb. Thank you Ichiban. Sake bomb! Day 3 we walked from St Boniface around to the Forks. There was an outdoor press conference about‎ the Metis-Fairfax partnership investment to restore the rail line to Churchill. This project represents real tangible reconciliation. A big step forward since the the Metis Nation will control their own future in northern Manitoba. Marie made some apple sauce. Ashley prepared one of her family’s‎ traditional perogie dinners and Kyle cooked some sausage and played the piano for us after dinner. It was another superb evening in Winnipeg. Tomorrow we hit the road.